Momentum are treading new ground as they launch a new ‘Bankrupting Climate Change’ campaign against Barclays over their funding of fossil fuel companies. Collaborating with student activist network People & Planet, over 40 groups have already pledged to organise creative direct actions at Barclays branches at the end of March. This piles the pressure on Barclays in the week that a report published by Bank Track, Rainforest Action Network and others, Banking on Climate Change, exposes Barclays as the worst bank in Europe and sixth worst in the world for financing the companies profiting from climate breakdown. 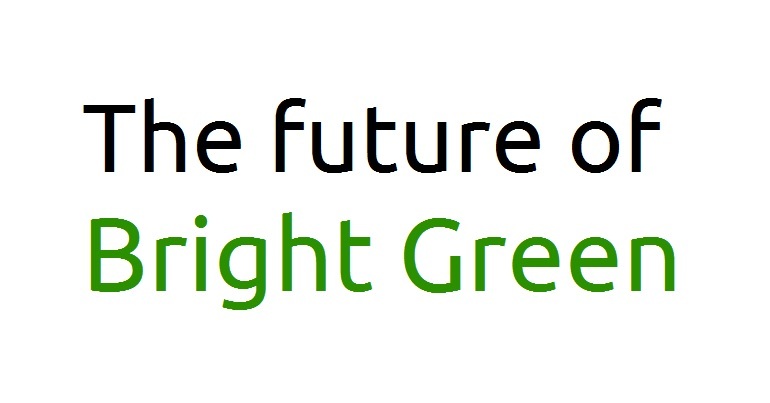 Over 100 activists joined an evening call with just a few days’ notice on 18 March to learn about the campaign and commit to organising an action. Bankrupting Climate Change draws inspiration from the most cutting-edge elements of social movements in recent years. 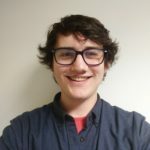 Momentum will use digital organising techniques pioneered by US campaigns including Bernie Sanders’ 2016 Presidential run. The campaign also follows on from the climate politics and mobilising methods pushed into the mainstream by groups like 350.org globally and People & Planet in the UK. Their Fossil Free campaigns have made fossil fuel companies the enemies of climate justice. 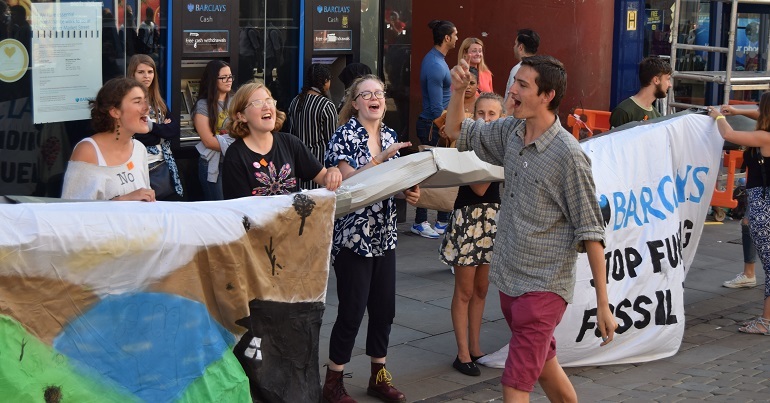 Through People & Planet’s Divest Barclays campaign, students have already targeted Barclays for funding fossil fuels: from invading local branches to disrupting their AGM. 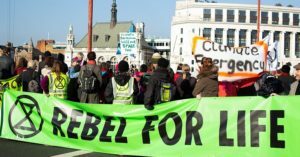 It is the political analysis underpinning Fossil Free advanced by the most radical elements of the climate movement that has created the conditions for Momentum to join in targeting those most responsible for climate change. In rejecting individualistic action and introducing a story of climate injustice which placed the blame squarely at the feet of the rich and powerful, they have built a bridge between ‘environmentalism’ and the left. But why have Momentum chosen now to start organising around climate change? Since summer 2018, many on the left have felt acute anxiety at the scale and urgency of climate breakdown with little idea of what to do. 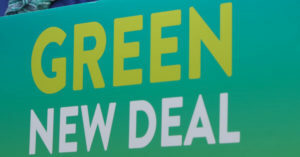 Traditional environmentalism is intuitively unattractive to many leftists due to its political, strategic and organisational orientations; and the existing structures and organisations of the left have thus far failed to facilitate serious climate organising. Momentum provides the political and organisational structure to channel the left’s latent urge to do something radical about climate change. Labour have ambitious plans for green investment as part of a much broader ‘green industrial revolution’, recently talked about by John McDonnell and Rebecca Long Bailey, but we need to step up and play our part too. We won’t transform the economy and beat climate change just by pulling policy levers in Westminster, it’ll take grassroots action in communities across the country. As one of the few established organisations on the British left, everybody has a different (strongly held) view on what function Momentum should fill. Of course, it cannot do everything. But this climate campaign is a powerful response to calls for it to become more active on the ground beyond internal Labour elections. Indeed, as Yule alludes, Momentum members have a major role to play in driving Corbynism forward in policy as well as party structures. Without active pressure from the grassroots, Labour’s climate ambitions will inevitably fall short. With campaigns like Bankrupt Climate Change, we can force a confrontation with banks and fossil fuel companies to be central to Labour’s plans for the green transition. The campaign is in solidarity with #YouthStrike4Climate. Momentum members can be motivated by the positivity of the student strikers who have organised autonomously to mobilise thousands. Many Momentum members feel under constant attack from a media and ruling class intent on smearing and deriding them at any opportunity. For too long we’ve been on the defensive. It’s time to come out fighting with a positive assertion of our radical politics which shifts the terrain of debate. It’s time to confront the banks which crashed the economy in 2008 and continue to finance the fossil fuel companies crashing the climate today. With organisations like Momentum taking a lead, the left has the chance to take charge of climate organising in 2019. By demanding that corporate targets like Barclays sever their ties with the increasingly stigmatised fossil fuel industry, we can help drive a wedge between fossil and finance capital to accelerate decarbonisation. We can tell a radical story of climate breakdown which establishes socialist solutions as common sense, including rewiring our financial system to work for the many not the few. We can build a genuinely mass movement of ‘the many’ demanding a radical climate transition as the precursor for changing everything.